Hey, thanks so much, everybody, for the fun we had last week celebrating the 6 months of Paint Chips with me. If you won a prize, I’ll get those out in the mail before the end of the week…and if you won chocolate (Jenny M, I’m looking at you), I’m probably going to have to send that out when it cools off a bit outside. Otherwise, you’re going to get a package full of hot chocolate. EEEP! You’d think my job is pretty low impact. I mean, physically speaking. Right? Long hours of sitting are killing my back. If I stand to write (which I do often), it kills my back. I have these weird callous things on the insides of my wrists from my laptop (at least they don’t hurt anymore). When I write a very intense scene, my whole body tenses up. And then this happened today. So, I this is the reason I have nothing special and clever for today’s blog post. I’m buckling down. Drinking the cheap (and nasty coffee) I found in my pantry. 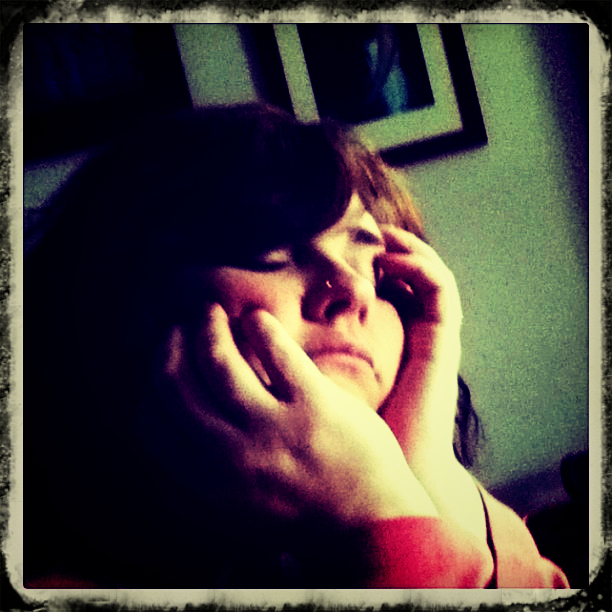 Ignoring the sinus pressure that’s crushing my right eyeball. Staying out of the humid air. And, today, I’m writing like I only have 16 days until this manuscript is due. Because that’s all I’ve got. Drink a rich, dark, cup for me today, Friends! ← Grand Finale! And Grand Give-Away! I love you!!! Praying for you!! Thank you, Sweet Kathi. Right back at you!!!!!!! Write like the wind! ❤ Praying for you! Zoom. Here I go. 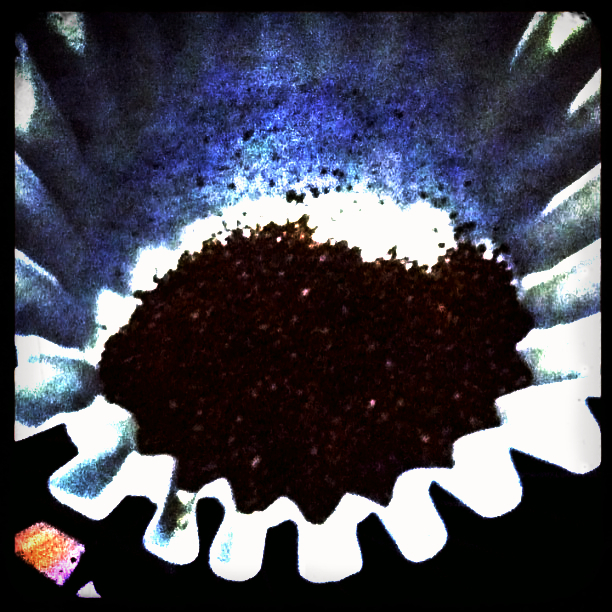 And I just found a sample baggy of yummy coffee. 🙂 The Lord has been good to me. 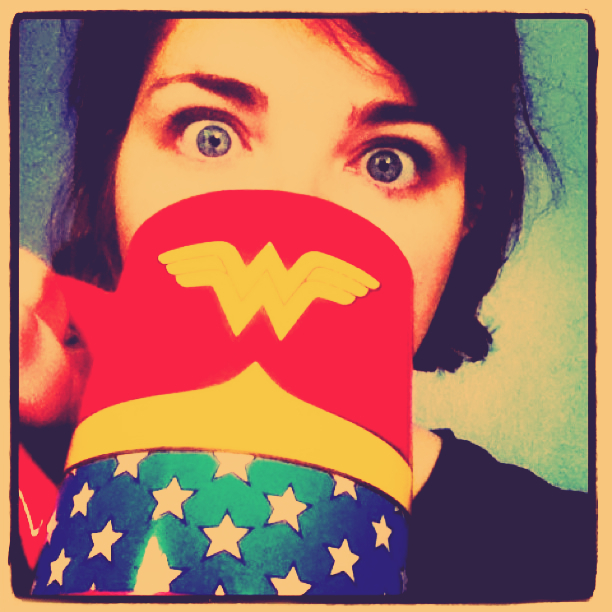 That WW mug is awesome. Keep plugging away; you can do it! Hey, Kady! Thanks so much! And, yeah, NaNoWriMo is killer, isn’t it? But so much fun! YOU keep up with your writing, too!